To celebrate the birth of Prince George, the first child of Duke and Duchess Cambridge and the boy who will one day be King, here are some right royal retro games featuring babies. But not royal ones. 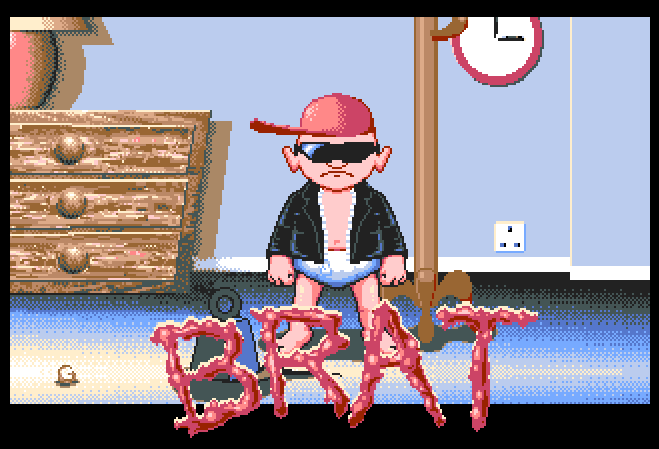 Released for the Atari ST and Commodore Amiga, Brat is a baby who needs direction, and probably some love and affection. If not, he'll probably get some sort of attention deficit disorder and in twenty years time will become a vigilante computer hacker. In this game, Brat "the most mischievious youngster since Attila the Hun", walks in a straight line on a suspended landscape. It is your job to ensure that he doesn't fall off the floating world that he inhabits or come a cropper by hitting any of the obstacles that get in his way. 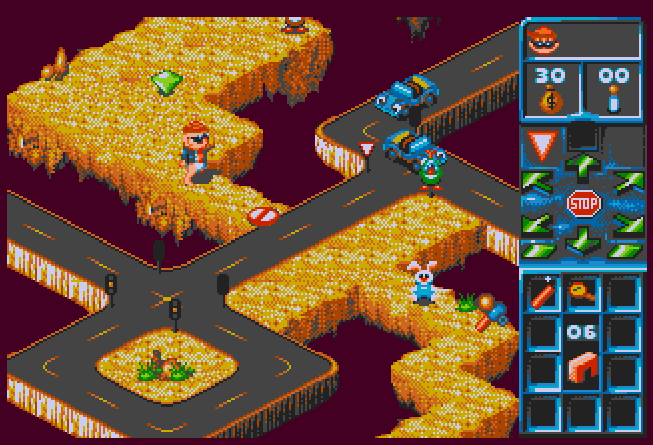 You do this simply by placing objects on his route, mostly direction arrows which tell Brat which direction to take, but there are some other items to place which can be used to combat some of the obstacles. The game is a bit like an isometric Lemmings, quite a simple idea and well-presented, but unfortunately hard and frustrating to play due to being very unforgiving if you make mistakes. Brat is also one of those annoying kids wearing sunglasses, a leather jacket and a sideways baseball cap, a style that has never ever been cool. (AMIGA) Where are his parents? Taking the role of a trouble-making toddler, you get to explore various comic-book style locations with the aim to cause as much madness and mayhem as possible. If Grand Theft Auto was a 8-bit computer game featuring babies, then this would have been it. (ZX SPECTRUM) Hehe. Jumbo nutz! 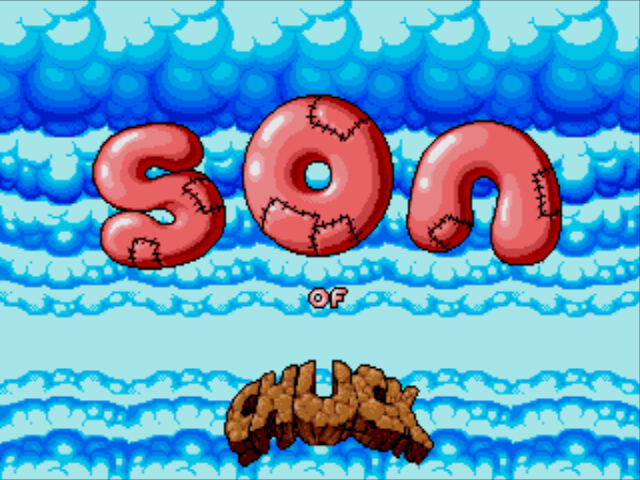 A side-scrolling platform game featuring Chuck Rock's son. He doesn't quite have his dad's belly yet so defeats enemies using a club. 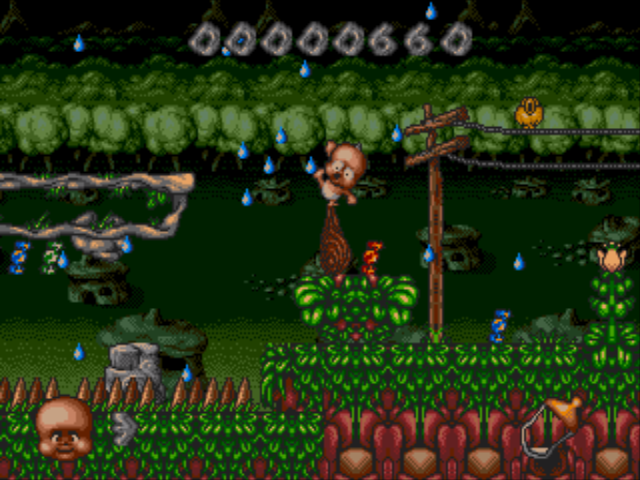 Pretty standard platform fare from a time when pretty standard platformers were abundant. The graphics and sound are great as you'd expect from a Core Design game, but the game itself was lost amongst its competition so is probably not so well-remembered. (ARCADE) They don't look like a very happy couple, do they? Arcade, Amstrad CPC, Commodore 64, Sega Game Gear, Sega Master System, Sega Game Gear, Wii Virtual Console. 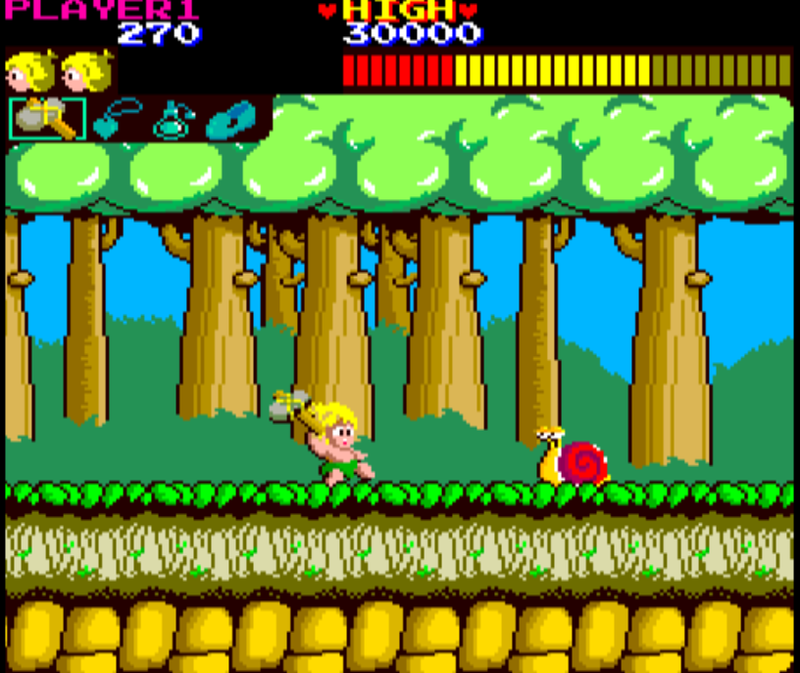 Also as Adventure Island for Nintendo Entertainment System and Wii Virtual Console. 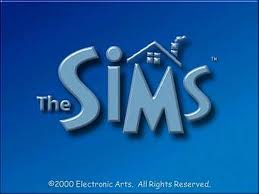 EA and Maxiseseseses' life sim gave gamers the ability to direct virtual human beings through their day-to-day lives. From the mundane events like emptying the bin and going for a wee (or just leaving them to piss themselves) to major life events like getting a job or building an extension on your house to turn it into a games room. Another large part of the game was forming relationships, especially romantic relationships. You could get your Sims to fall in love by flirting, chatting, telling jokes, dancing or attempting a sneaky kiss. 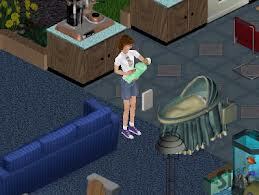 Once your Sims had taken that first step in the path of romance, it doesn't take them long to decide to have a baby. After making the decision, the conception, pregnancy and birth happens in seconds and a baby in its basket suddenly appears in your front room. The game then becomes all about looking after your virtual sprog, feeding, changing and cleaning them in the hope that the authorities don't come knocking to take it away. So, if you want to imagine what life is like for Will and Kate, create your own make-believe Royal couple and get them to have a baby. According to movies in the 1990s, parents were useless. They always seemed to forget their kids. The McCallisters managed to lose Kevin twice in two Home Alone films, the little girl in Three Men and a Baby and its sequel seemed to get farmed off anywhere, and in Baby's Day Out, some infant went for a jolly all by itself. I guess anyway. I've never actually seen the film in full. 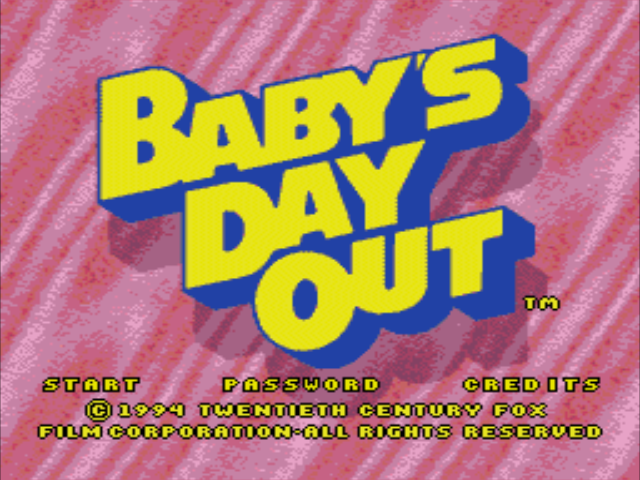 A game based on the film Baby's Day Out was programmed for the Sega Mega Drive/Genesis but was never released. In fact, the game was never actually finished, but what does exist of it - you can find it online if you know where to look - is a heap of stinking crap that probably couldn't have been salvaged and turned into anything worth playing. It might explain why a completed version was never put onto a cartridge. 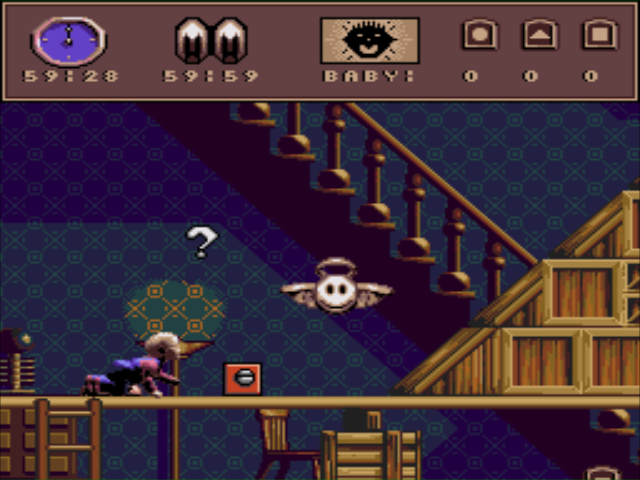 The idea of the game is to guide Baby to the exit of each level. You do this by controlling what looks like an angel, who opens doors, moves objects, and basically makes the route safe. The controls are horrible, gameplay is completely unintuative, the graphics dull and depressing, and I don't think there's any sound to speak of. Or I'd forgotten to turn on my speakers when I played it. 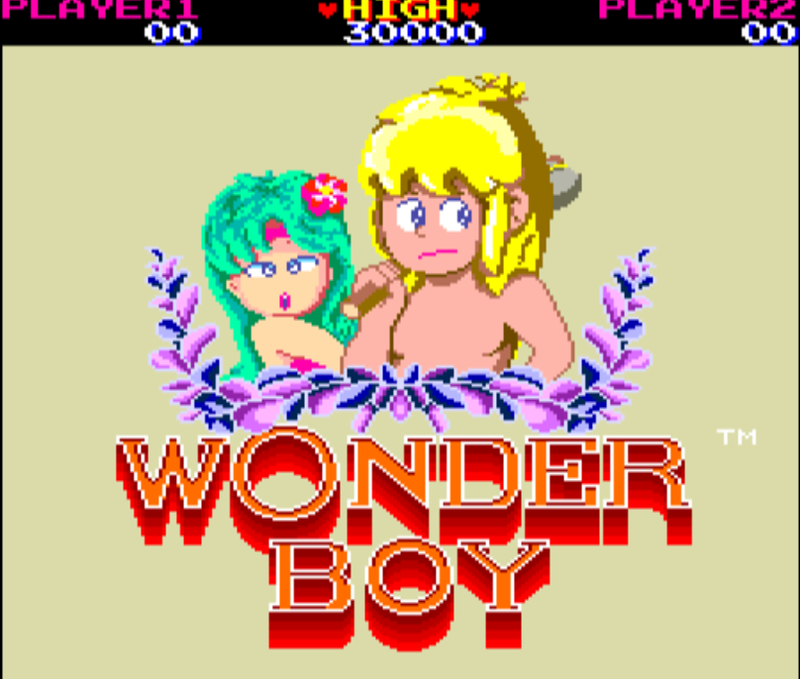 (MEGA DRIVE) If they'd have released it, this could have been a Mega Drive classic.